Interested in Getting Paid While you learn? Try a Paid TEFL internship! Choosing to teach English overseas offers you limitless opportunities to travel and experience new cultures, but where should you get started? 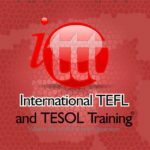 First, if you don’t have a certification then finding the best online TEFL (TEFL is an acronym for teaching English as a foreign language) is a great starting point. Today we’ll take a deeper look at MyTefl’s 120-hour online course ($299). 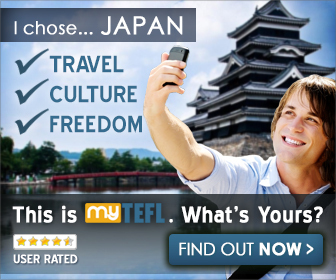 In this review we’ll look at the benefits that come with MyTefl. In a traditional classroom setting, the dates and times are set out for you. This can wreak havoc on the rest of your schedule, especially if you are working debilitating 9 to 5. When you opt to take MyTefl’s online course that problem is essentially solved. Whether in the middle of the night, first thing in the morning or anytime in between, it’s all fine. Everything is entirely up to you when you study online. Choosing to take the online option ensures much less of an interruption in your daily life. MyTefl offers four course options that are designed for everyone from beginners to veteran teachers. 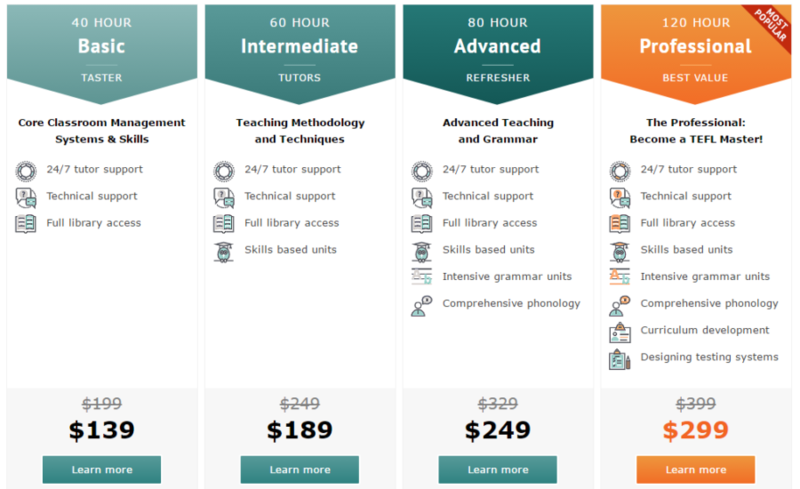 Regardless of which course you choose, you will have 24/7 tutor support, full library access and technical support. Also another plus is once you receive your certification it’s good for life. MyTefl, as well as it’s parent company, Footprints Language Education Ltd. (FLE), are members of the largest and most comprehensive TEFL organizations in the world. The International Association of Teachers of English as a Foreign Language (IATEFL) is one of them. All courses offered by MyTefl are moderated and recognized by the Online TESOL and TEFL Standards Agency, a third party standards board. If you recently decided you want to teach English abroad or you’ve had this dream for a while, you certainly don’t want to waste too much time. With MyTefl, you don’t have to waste time. You can finish the program in just 6-8 weeks or faster, all while doing the work in the comfort of your own home. After completing the course, you can review any section of the course for an additional 6 months. 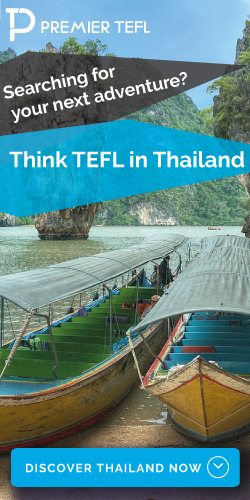 While a lot of TEFL programs claim to offer job assistance MyTefl actually delivers. After you have finished the program, they’ll help you find your first teaching position with their Lifetime Placement Services. It is definitely a major benefit to know you aren’t taking and paying for courses that you may not see a return on. So lets say you decide to do an on-site TEFL course. Which is great if you can afford it. In addition to the program cost of your on-site course, you will be responsible for the cost of travel, housing, and all of your other living expenses while enrolled. This can add up quickly! Keep in mind, it may be impossible to keep working if you need to relocate for the on-site course. This means you will be spending all of this money without any income. If you’ve always dreamed of seeing the world (not just through facebook post, magazines and websites) then teaching English is a great way to make your dream a reality. The best thing you could do is not over think the process. Thousands of students have taken MyTefl online course. When you get hired for your next job and see that first months salary. Then you know your investment has been returned 2x-3x over. Your investment stops at $299 and the return keeps on returning. Thanks for the comment Kevon. The reason 120 hour TEFL courses are most popular is because most ESL employers will require that you have one. It may also play a role in getting a work-permit as well although it depends on whether you work for a government school or language school. I don’t know what the prerequisite for taking the course or obtaining TEFL certification but it looks like a win-win for everyone. You get to travel and they get professional certified instruction. There is no prerequisite for taking the course although they would advise you have at least a Bachelors of Arts in any subject. TEFL certifications get you the job. A 4-Year University Degree is what qualifies you for a work-permit. Great info, I had never heard about this course but in fact I think it can be a very good investment. This kind of work is usually well paid. I wish you all the best and thanks for this awesome review. MyTefl is definitely new to me. Although I’ve always wondered about what it would be like to teach English, especially since there’s so many people that want to learn it, of course! If I ever get into this in the future, I now know how I can make money from doing so. What a great review, it was very informative. Nice Brandon, get out here! 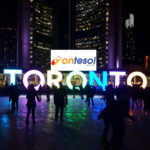 The TEFL world is waiting for you! Thanks Michael and if your son just graduated he can get 50% off the courses! Great opportunity to see the world and get the type of knowledge know book could teach you.